Who doesn't love the loveable Baymax!? 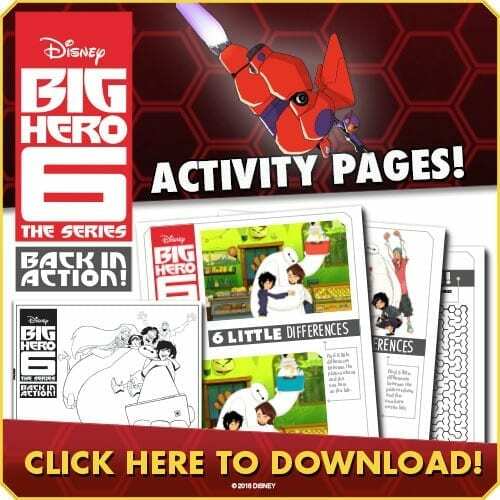 Hero and Baymax are back in a great series. The first season is available now on Disney DVD. We have some fun printables and a giveaway for the DVD! The adventures continue for tech genius Hiro Hamada and his healthcare companion, the lovable, inflatable Baymax! Picking up right before the end of the film, Hiro thinks Baymax is lost forever, until he finds the chip Tadashi designed to create Baymax. Hiro immediately gets to work rebuilding Baymax, but Hiro’s overconfidence and impatience get him into trouble. 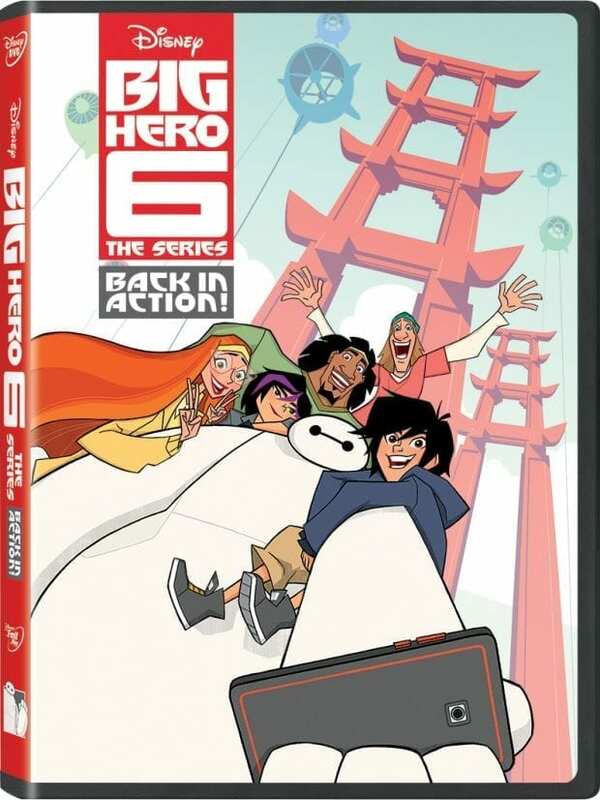 The stakes are raised for Hiro, Baymax and their friends – adrenaline junkie Go Go, control freak Wasabi, chem whiz Honey Lemon and fanboy Fred – as they fight to protect San Fransokyo as the legendary superhero team Big Hero 6. Baymax is our favorite character.